With over 3.3 million fitness bands sold between 2013 and 2014, these devices are fast becoming one of the most commonly found health gadgets The 8 Best Fitness Gadgets to Help You Get in Shape The 8 Best Fitness Gadgets to Help You Get in Shape With the increasing onset of wearable tech, the Internet of things and smart gadgets, it is now easier than ever to get in shape. Read More in many homes across the world. This makes it one of the most convenient devices to use as your first step toward building what many people would consider a “smart home”. Fitbit dominates the fitness band market at 67% of all sales. This means that more homes today than ever before have residents who use the Fitbit band. Even President Obama was spotted sporting a Fitbit Surge! Combine the popularity of the Fitbit with the fact that IFTTT now offers a dedicated Fitbit channel, the Fitbit is an ideal device to experiment with automating your life and your home in ways that you probably never even considered. When many people think of the term “smart home”, they think of a futuristic home with lots of intelligent lights Light Your Home the Smart Way With Philips Hue Light Your Home the Smart Way With Philips Hue If you can afford the initial expenditure, you won't find a better-supported and more user-friendly smart lighting system on the market. Read More , shades that open and close automatically, and thermostats that increase or lower the home’s temperature automatically 13 Things You Didn't Know You Could Do With a Nest Thermostat 13 Things You Didn't Know You Could Do With a Nest Thermostat You may be surprised just how many little tricks you can accomplish with your new Nest thermostat! Read More . The reality is that you can actually start automating your life with simple gadgets that you may already have in your home right now, like a smart TV, your smartphone or tablet, your computer, inexpensive smart gadgets under $100 6 Types of Home Automation You Can Actually Afford 6 Types of Home Automation You Can Actually Afford Are you ready to join the smart home revolution but worried that it's beyond your budget? Smart homes aren't that expensive, and there are plenty of components that the average homeowner can afford. Read More , and of course even your Fitbit band. If you have an IFTTT account The Ultimate IFTTT Guide: Use the Web's Most Powerful Tool Like a Pro The Ultimate IFTTT Guide: Use the Web's Most Powerful Tool Like a Pro If This Then That, also known as IFTTT is a free web-based service to get your apps and devices working together. Not sure how to build your applet? Follow along with this guide. Read More , then before you can get started with the automations I’ll go over in this article, you’ll need to register the Fitbit channel, which was first introduced in 2014 IFTTT Introduces The eBay & Fitbit Channels IFTTT Introduces The eBay & Fitbit Channels Bargain hunters and fitness fanatics, listen up. IFTTT has been thinking about you lately and has been making channels for eBay and Fitbit to enable you to automate those bargain hunting and fitness skills. Read More . 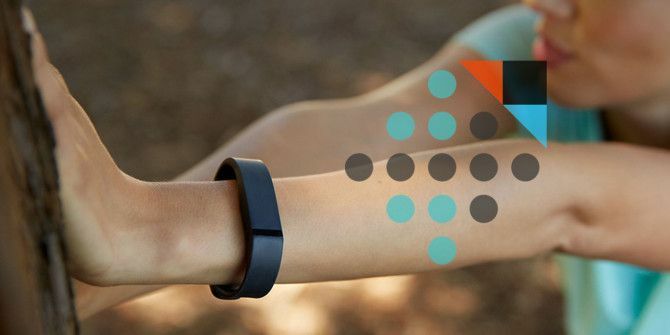 Once you’ve got your Fitbit registered with your IFTTT account, you’re ready to roll. You can set up any of the following automations with your Fitbit, or choose from the list of additional ready-made IFTTT recipes How To Create Your Own IFTTT Recipes For Automating Your Favorite Sites & Feeds How To Create Your Own IFTTT Recipes For Automating Your Favorite Sites & Feeds There are a few web services that can be considered "priceless" and IFTTT is one of them. The service, which stands for "if this then that" has the power to automate common tasks and help... Read More listed at the bottom of this article. One of the most frustrating things about being a heavy sleeper is when my alarm clock Timely For Android: A Beautiful, Powerful, and Slick Alarm Clock Timely For Android: A Beautiful, Powerful, and Slick Alarm Clock Whatever alarm clock you're using, it's uglier than Timely. That's a bold assertion to make, I know. But I've been using Gentle Alarm, one of the most powerful and versatile alarm clocks for Android, for... Read More doesn’t work. It can go off through three or four snooze cycles, and then I may literally turn off the ringer and go back to sleep, not waking up until long after I intended to. For years, getting up on time was a constant battle that I had with myself. If this sounds like you, then you’ll appreciate the Sleep parameters available in the Fitbit IFTTT channel as much as I did. You can create a trigger in IFTTT that goes off after you’ve slept a certain number of hours. Choose the Sleep duration above option, and type in a number in the Target hours field that’s just slightly beyond the typical number of hours you sleep each night before your alarm goes off. So, if you usually go to bed at 10 PM and your alarm goes off at 6 AM, then that’s 8 hours. You should be awake within eight hours if all goes well, but you can set up a “panic” alarm to go off if your Fitbit recognizes that you’ve been sleeping for 8.5 hours. Once you’ve created this trigger, next you can create an action for IFTTT to call your smartphone and wake you up. To set such a call trigger, choose the “Phone Call” alert tool from the list of selections. Next you can type in the message you want the system to say to you when it calls after you’ve overslept. Make sure to make the message harsh enough so that you actually realize that you’ve overslept and need to get your lazy self out of bed! This last-ditch phone call has saved me more times than I could count; in one case even saving me from missing a presentation I was supposed to give at an important conference! Just like oversleeping, not getting enough sleep can be a major problem as well. Thankfully, there’s another IFTTT trigger you can set to go off when you haven’t slept long enough. You can use this trigger to automate all kinds of things that’ll improve your life. For example, in the IFTTT library, you’ll find a recipe to activate the Belkin WeMo Insight Switch connected to your coffee maker. You may not need a coffee every morning, but when you haven’t had much sleep, it’s nice to have that hot coffee ready and waiting for you in the morning. 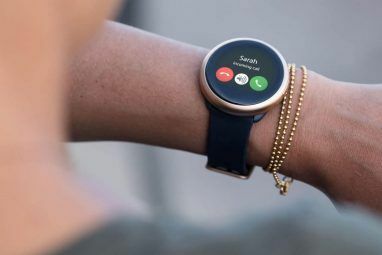 Another clever action based on the Fitbit lack-of-sleep trigger the night before is to automatically create a reminder in your Google Calendar How to Sync Google Calendar with Every Other Platform How to Sync Google Calendar with Every Other Platform Google Calendar is arguably the easiest, most intuitive and most versatile way to organize your day. The only problem users commonly encounter is syncing it with their devices. Read More to go to bed early the same night, so you can recover your sleep pattern. The Action recipe lets you embed ingredients from your Fitbit, so you can have the reminder set the day that you woke up, and make the event reminder get scheduled for around the time you want to go to bed. If your Google Calendar is set up to send notifications to your smartphone, you’ll get an instant reminder that you need to get to bed and catch up on your beauty sleep. Another method to avoid oversleeping is to use the Fitbit sleep duration trigger above to fire up your Philips Hue lightbulbs when you’ve slept long enough and want to wake up. In the IFTTT recipe library, you’ll find a ready-made recipe for this action too! One of the most useful Fitbit triggers you’ll find in IFTTT is the daily goals trigger. The nice thing about it is that it lets you select a specific goal that you’re tracking with your Fitbit, and the exact time of day when you want to reach that goal, or else trigger some action to happen. The list of goals depends on the goals you’ve enabled in your Fitbit account. These goals only require a little bit of creativity, and a few very inexpensive WeMo or SmartThings outlet switches, to power on and off devices in your home that encourage you to reach those goals. The key here is that you set a specific time of day for each goal, and this will be the time that all of the resulting actions you configure take place. You can use another pre-configured IFTTT recipe to do this for each device that you want to trigger. You’ll need to create individual recipes for all of the devices you want to turn on and off. Here are some ideas for various ways you can use this recipe to ensure you reach your goals by the end of the day. If Calories burned is under your goal by 4pm, send SMS asking your wife or husband to cook a low-calorie supper for you if possible. If Distance Covered is under your goal by 4pm, make the WeMo switch on your treadmill to turn on, and the one on your television to turn off. 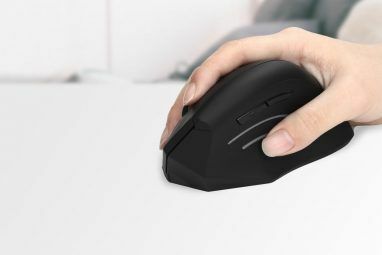 If your Minutes Active is under goal by noon and you work at home, have the WeMo switch turn off your computer monitor and flash your Philips Hue lights The 7 Best Philips Hue Apps for Android and iPhone The 7 Best Philips Hue Apps for Android and iPhone Looking for the best Philips Hue apps to use with your smart lights? Here are several great apps for iPhone and Android. Read More to remind you to take a walk. In fact, if you’ve bought a few WeMo switches (about $49.99 each) or a Philips Hue starter kit (about $190), the possibilities of automating all kinds of devices (or doing reminders and celebrations with lights) is really limited only by your imagination. 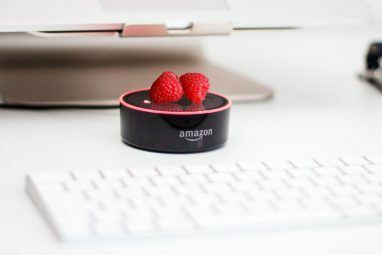 Whether you’re looking to automate your home or your life, there are all kinds of cool recipes people have already created on IFTTT that you can use. Here are a few of the best ones. Get your Fitbit sleep logs as a weekly digest every Sunday via e-mail. Update your Fitbit weight log with a Withings scale. When you achieve goals, automatically Tweet or send a Facebook post. Send a daily summary to OneNote to closely track your fitness progress. Like falling asleep with the light on? Let Fitbit turn off your lights after you’ve fallen asleep. Automatically text your personal trainer when you’ve missed daily goals. Many people think that a Fitbit is limited to the features and notifications that you can configure on your Fitbit profile, but as you can see, IFTTT expands the functionality of that little fitness band to a whole new level. Did you spot any cool automations that you’re going to try out with your Fitbit? Are there any other cool ones you’ve used that you’d like to share with us? Let’s talk about them in the comments section below! Explore more about: Fitness, Health, Home Automation. Is there a way to use the fitbit as an arrival sensor? Example when I arrive at home after dark the front light comes on? "This Trigger fires every time your Fitbit tracker syncs for the first time today and your previous day's stats are available." Unfortunately it would likely sync at night or in the morning when you leave for work, so it wouldn't necessarily trigger when you get home. For that I would probably use the Android or iOS trigger that fires whenever your phone connects with your home wi-fi. Great post. Already put some of these in the works. Thanks! Hi! As far as I know they all are. I have the most inexpensive one - the flex - and that one works with the Fitbit IFTTT channel, so I'm sure the rest would as well. Hmm. I would thinking of buying a FitBit tracker. Which versions of Fitbit are compatible with IFTT ?